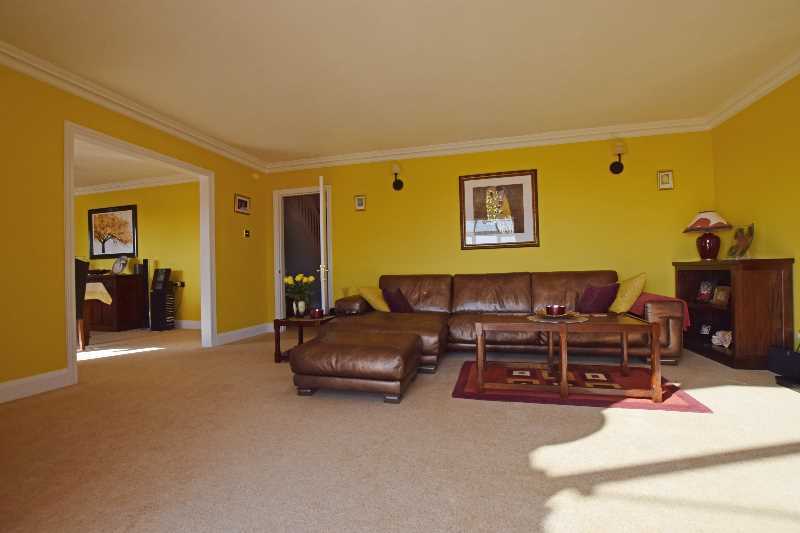 A highly well-maintained property with quality fixtures and fittings. 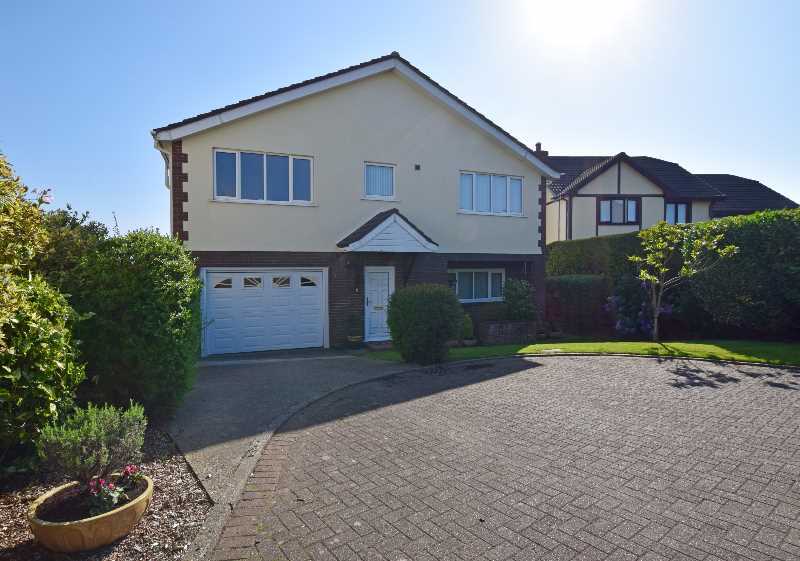 To the front of the property is a partly lawned area and driveway providing off-road parking. 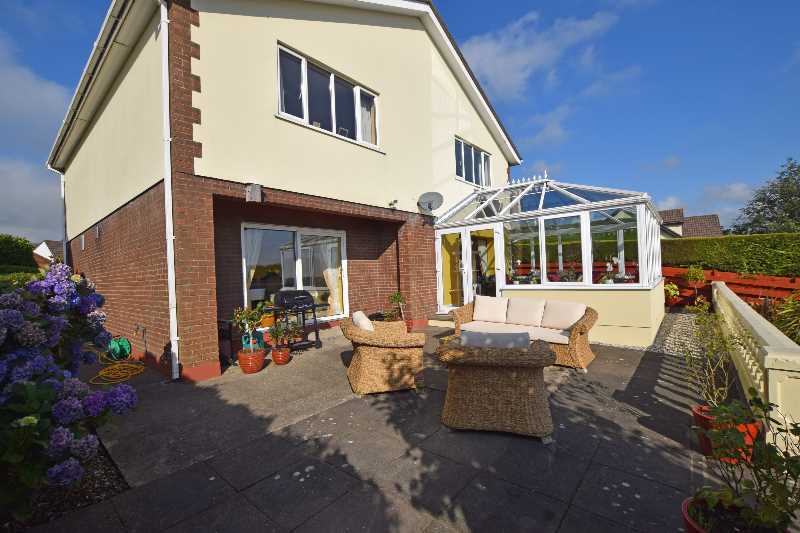 To the rear of the property is a tiered garden area, partly paved accessed via the dining room and conservatory. 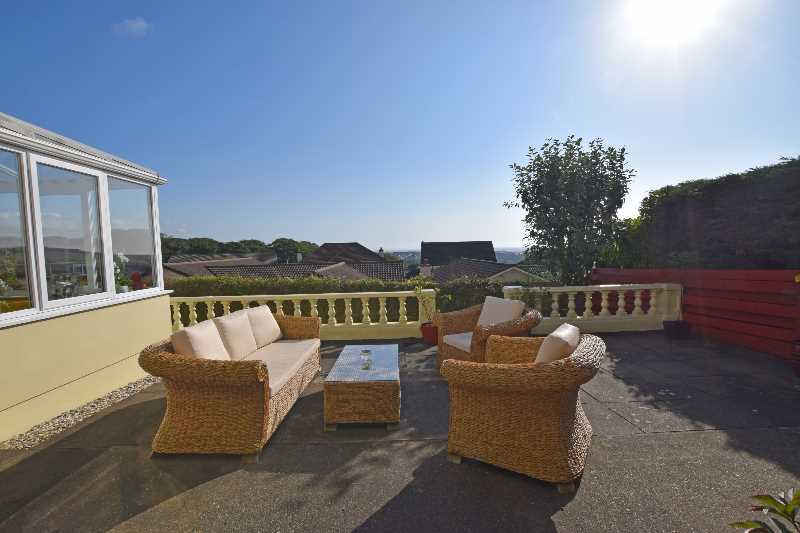 Bottom tier of the garden is mainly laid to lawn, enclosed by fencing and hedging providing excellent elevated views over Douglas and distant sea views. The garden is private and not overlooked by other properties. 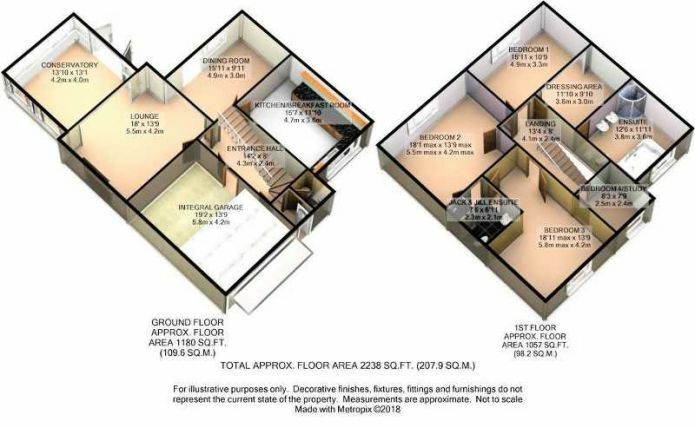 The price is to include the fitted floor coverings, curtains, blinds and light fittings. 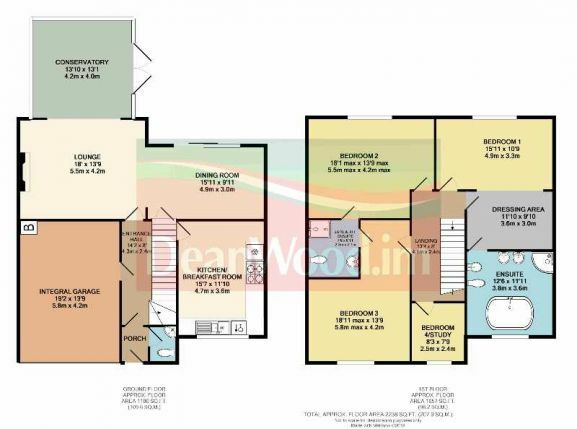 Wardrobes, beds, bedside units, chests of drawers and also washing machine, tumble dryer and American fridge/freezer in kitchen can be included. Travelling out of Douglas on New Castletown Road, turn right at the second set of traffic lights onto Anagh Coar Road. Proceed up past the shops turning right onto Stevenson's Way. Travel up the hill turning left into Hilltop Rise then bear left into the cul-de-sac to where No.6 can be found. 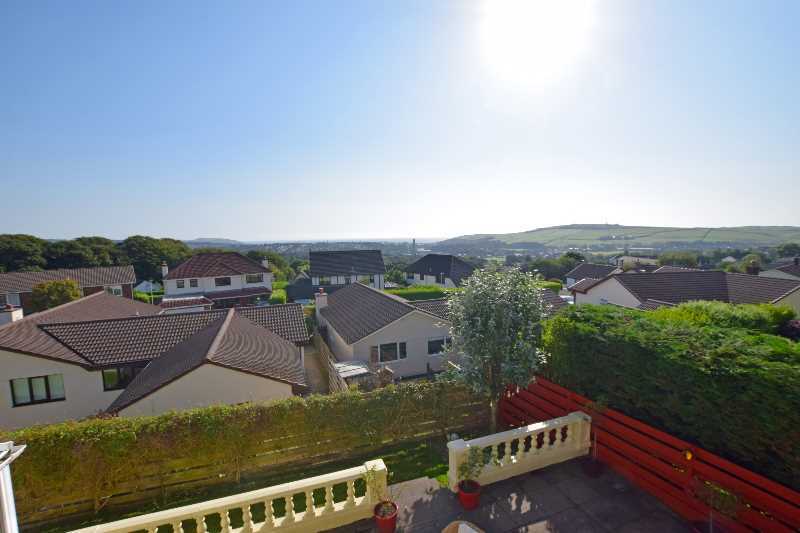 Within a short drive of Douglas and all its amenities. CLOAKROOM Recently refitted with corner wash hand basin and WC. Fully tiled. Plaster coving. Radiator. Extractor fan. ENTRANCE HALL (14'2" x 8'0" approx) Stairs leading off to upper floors. 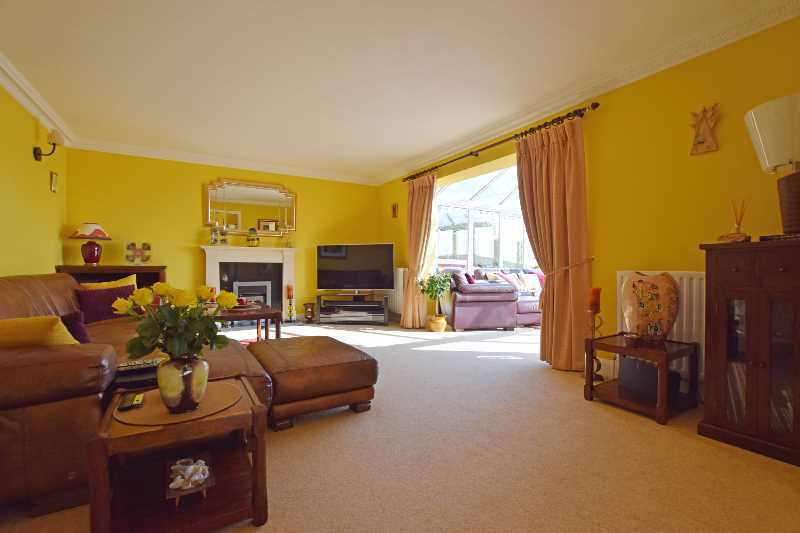 Doors to lounge, dining room, kitchen and integral garage. Plaster coving. Radiator. Phone connection. Smoke detector. FITTED BREAKFAST KITCHEN (15'7" x 11'10" approx) Fitted with a range of wall and base units with laminated worktops incorporating a 1 bowl stainless steel sink with mixer tap and drainer unit. 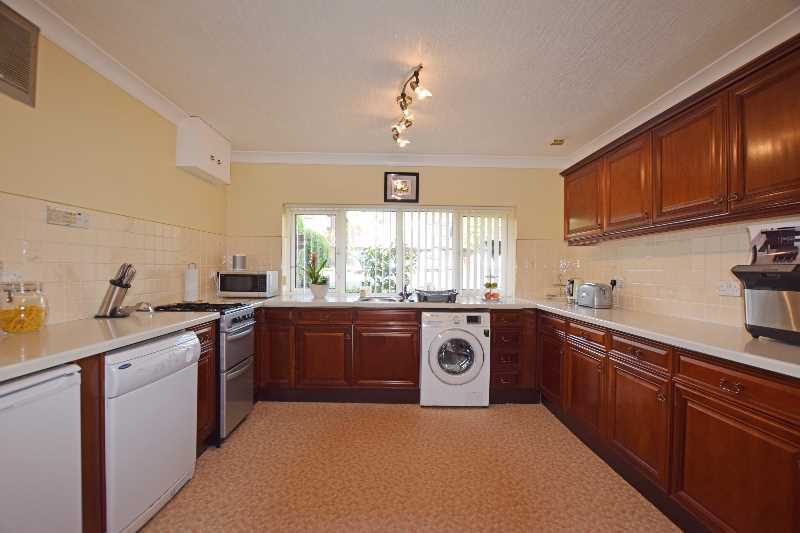 Freestanding oven with 4-ring hob, washing machine, tumble dryer and American fridge/freezer. Tiled splashbacks. Coving. Spotlights. Radiator. TV. 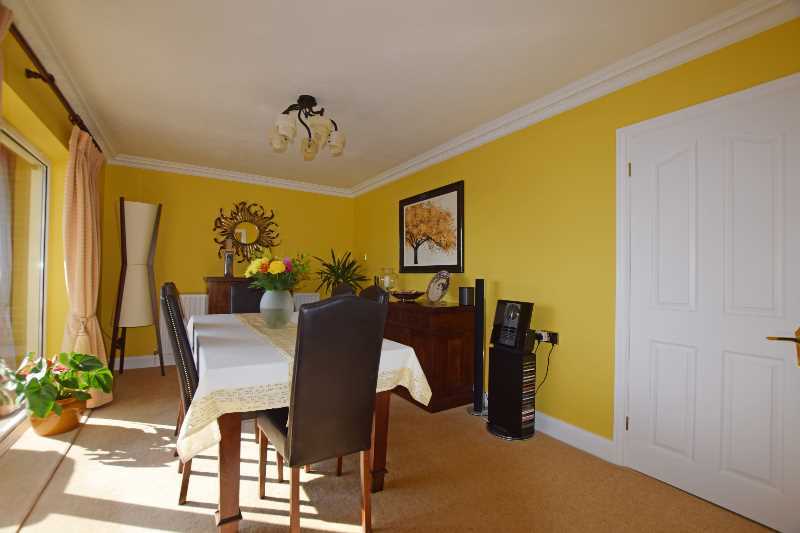 DINING ROOM (15'11" x 9'11" approx) Coving. Ceiling light. uPVC sliding door to rear garden. Door to hallway. Radiator. 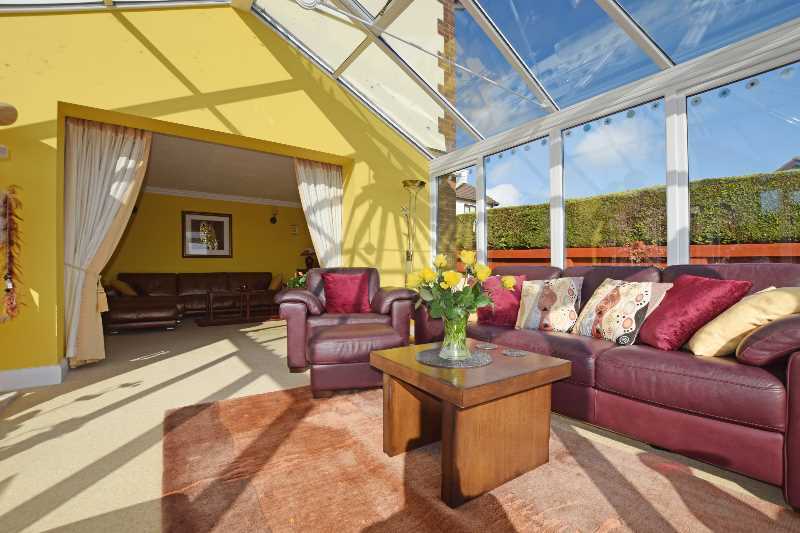 EVEREST UPVC CONSERVATORY (13'10" x 13'1" approx) Separated from the lounge with heavy curtains. 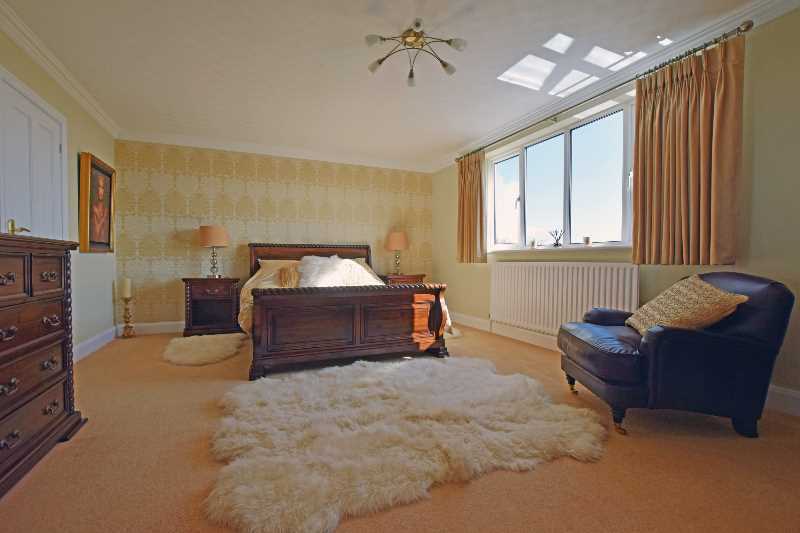 Double glazed with tinted ceiling glass. Dwarf wall. 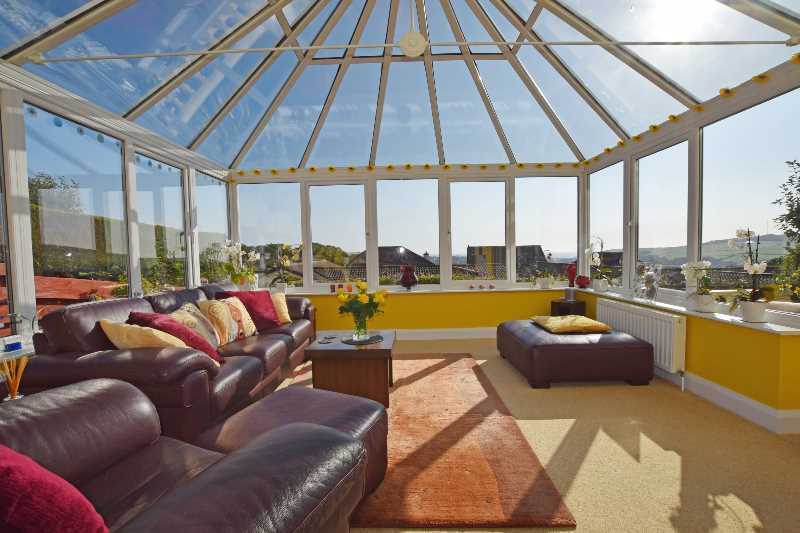 Conservatory used all year round as reception / social space and takes advantage of the elevated views towards Douglas Head and distant sea views. Two radiators. Double doors to rear garden. LANDING Plaster coving. Access to insulated loft. 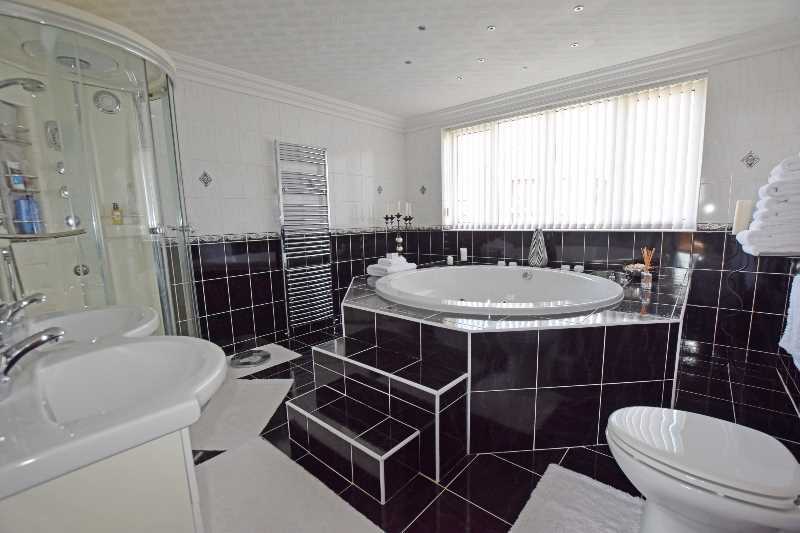 LUXURY EN-SUITE BATHROOM (12'6" x 11'11" approx) Suite comprising large centre jacuzzi bath with fully tiled surround and steps leading up, twin vanity wash hand basins, corner shower cubicle with jets, bidet and WC. 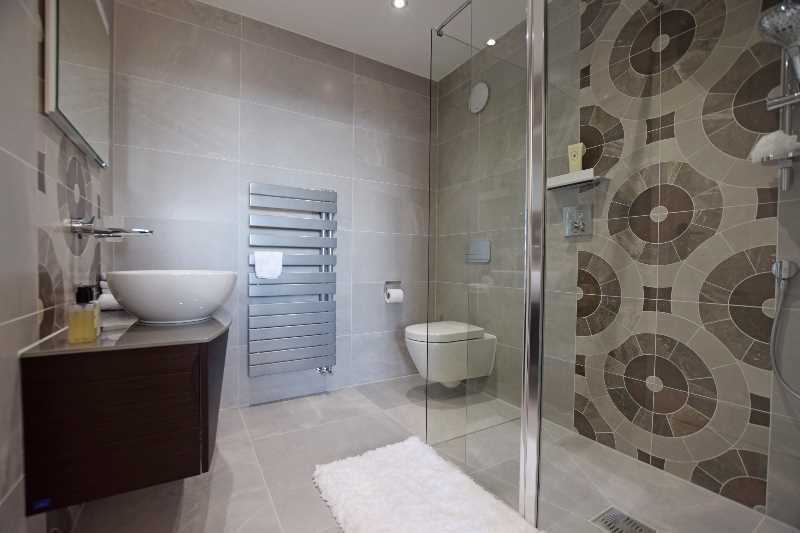 Chrome ladder radiator and chrome heated towel rail. Tiled walls. Tiled flooring. Fitted blinds. Down lighters. Plaster coving. JACK & JILL EN-SUITE WET ROOM (CONNECTS TO BEDROOMS 2 & 3) (7'6" x 6'11" approx) Superbly appointed, recently installed luxury suite comprising Haus shower cubicle with rain shower attachment over, Villeroy & Boch wall mounted wash hand basin with vanity unit inset and Villeroy & Boch freestanding WC with hidden cistern. Glass holder. Wall mounted towel rail. Keuco wall mounted heated smart mirror with splashback under. Heated towel rail. Fully tiled. Tiled heated floor. Down lighters. Extractor fan. 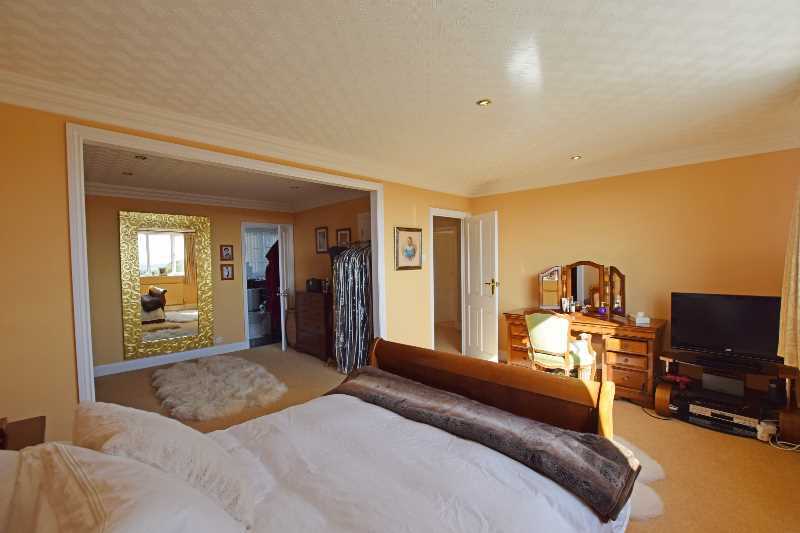 BEDROOM 3 (18'11" max x 13'9" approx) Door to Jack & Jill en-suite. Control for en-suite heated tiled floor. Downlights. Radiator. Plaster coving. 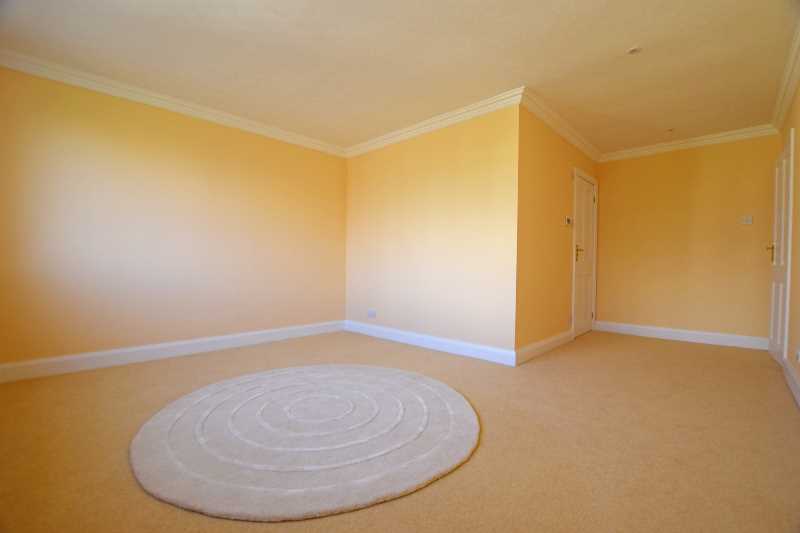 Recently decorated throughout with new carpet. BEDROOM 4/STUDY (8'3" x 7'9" approx) Ceiling light. Radiator. Plaster coving. INTEGRAL GARAGE (19'2" x 13'9" approx) Boiler. Automated garage door. Ceiling lights. Water connection.